As a precursor to this post, I should mention that I’m not in Logroño yet, so when I do arrive in September, there will undoubtedly be much more that I will discover and blog about. However, in the meantime, I have been relentlessly researching Logroño, the city where I will be living and teaching English, and it has a lot to offer. In 2010, Logroño was named the best city in Spain to live. Whether this is true or not is probably a matter of opinion; however, just being named the best city in Spain to live has to count for something. At least in my mind it does. 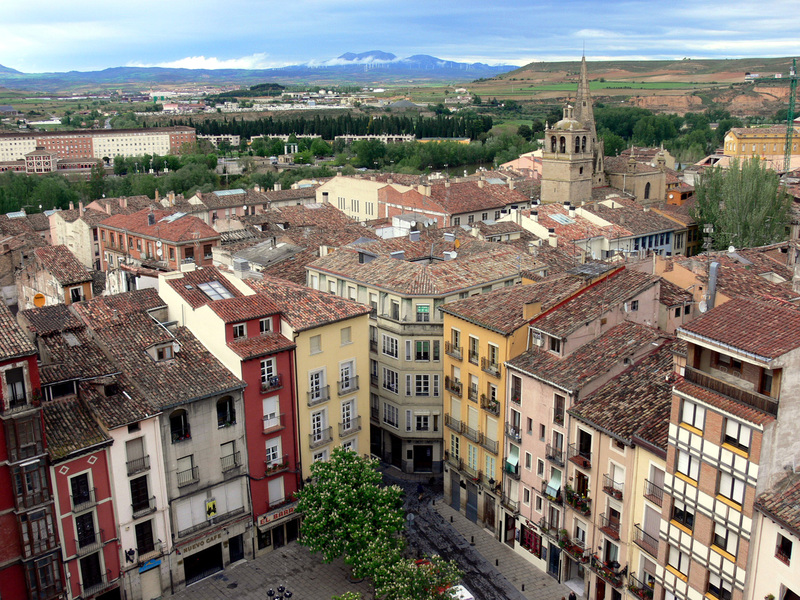 The city, and capital of La Rioja, has roughly 150,000 inhabitants, making it the largest in the region. Weather-wise, Logroño has an annual temperature of 56°F (16°C), which is beyond comfortable in my book. The “extremes” can reach 95°F (33°C) and 23°F (-5°C). I’m really excited for this, especially after this past Wisconsin winter – a couple weeks of -15°F (-26°C). Logroño is situated along the Rio Ebro, which flows throughout the region. There’s what looks like a nice park along the river with plant of trails and green space. It looks like a great place to run, which greatly excites me being a runner. I’m also a big fan of green space and gathering space within cities, so this provides both. The plazas in many cities around Spain provide this community gathering space which really enhances the sense of community and well-being within the cities. I wish the U.S. embraced this more (see: Spain’s walkability). Now, that’s my inner urban planning nerd coming out. Alright, enough with the temperature/population stuff. It’s informational, which is why I wanted to provide it, but is understandably boring to most. Wine, pinchos, and Castillian Spanish are some of the things I wrote about why I’m excited to move to northern Spain. These obviously all relate to Logroño, so I won’t repeat them too much here because they are all things I’m looking forward to about Logroño and why I’m oh so happy about my teaching placement! 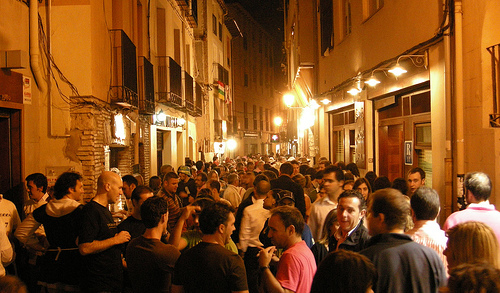 The two largest festivals in Logroño itself are San Mateo and San Bernabé. Unfortunately, San Bernabé takes place in June so I won’t be about to experience it this year, but I’ll be there in June of 2015. 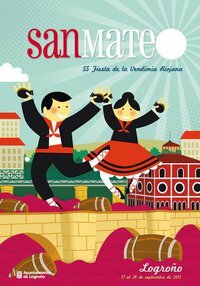 San Mateo, however, is celebrated September 20-26, so I’ll be making plans to arrive in Logroño before then with hopes of having an apartment all set up before the festival begins. Thanks, Cyra of Gastronomic Nomad for making me aware of this festival! San Mateo celebrates Saint Matthew but is actually a huge wine festival. I’m really excited that this will be occurring within my first few weeks of being in Logroño. A wine festival, especially in the heart of La Rioja, sounds like a dream come true. After all, I’ve already gone through two bottles of Rioja wine since finding out my placement with undoubtedly at least a few more to come. Speaking of wine, Rioja wine and pinchos are forever intertwined on Calle Laurel and Calle San Juan. Locals frequently go out for pinchos – ir de pinchos – which are small, individual portions of food that are more often then not had with wine or beer. To get an idea of different pinchos visit Liz’s blog, Memoirs of a Young Adventuress. She lived and taught in Logroño a few years back and captured a variety of the pinchos served in the La Rioja and Logroño. Liz has also served as the answer to my many questions regarding teaching in Spain. Thanks, Liz! From other pictures I’ve seen and posts I’ve read, tho video does not do it justice, but it’s at least a visual. That’s all for now, as I’m obviously not in Logroño yet, but hopefully you can sense my excitement! I’ll have more on this unquestionably beautiful city once I arrive – T-minus three-and-a-half months! Now on to my Spanish Student VISA and plane ticket…. ← I’m Moving to Logroño, Spain! I may take you up on those wine recommendations! I’m looking forward to experiencing a different side of Spain all together. 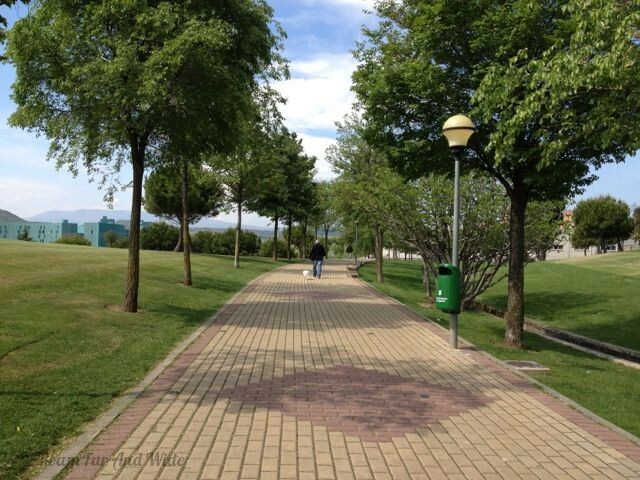 I just posted a comment on your previous moving-to-Logroño post, sorry I didn’t find this one before! Leaving a comment again because I’ve just thought that probably one of the best ways for you to experience the views of wine yards and learn about the Riojan history of the making of the wine is visiting Dinastía Vivanco (a cool wine cellar where they will teach you a lot about the wine, whether it’s in Spanish or English) in a village called Briones. Not sure how you can get there, but I’m pretty sure there’ll be some buses that can take you there. Thanks for the idea! I will definitely make a visit to Dinastía Vivanco. It sounds really cool! I’ll find a way to get out to Briones from Logroño too! I’m off to La Rioja too Mike! I’ve spoken to a girl who was there a couple of years ago and she had got me slightly excited about Logroño especially Calle Laurel and Calle Breton too! Looking forward to September! Awesome! I can’t wait to head over! I just had my Visa appointment today.